For some time now we have been considering whether to reply to the accusations which have been raised against our editors by the Kavkaz-Center website. In reality, the absurd assumptions that have been made by this site could be left unanswered, were it not for one thing. We realize that some of our readers would like to have a proper understanding of what has been going on. Bearing this in mind, we deem it necessary to provide some clarification. Our refusal to post the audio file of the interview with Dokka Umarov we published earlier on our site was prompted by our agreement with a major media corporation whose name we are not at liberty to reveal. Journalists from this corporation conducted the interview, and by agreement with the company’s management they gave us the transcript for publication on our site, with which they also cooperate. We felt obliged to fulfil our obligations in this regard, and did not think it possible to disclose any details of the work that had gone into the interview. These were also the reasons I stated in my email to a member of Kavkaz-Center’s staff who asked us to send them a copy of the original recording. Only a few days later, Kavkaz-Center published an article about our correspondence which purported to quote a statement by me, giving an entirely different rationale – "for reasons connected with the security of the journalist who conducted this interview with Dokka Umarov", although no such words, or anything akin to them, appeared in my reply. Although such free interpretations of the facts are, alas, typical of this Internet resource, I am still somewhat puzzled by accusations of falsification made by an author who has engaged in such shameless deception. As for the allegations that we compiled the interview from texts published in different years – they are untrue. The text of the interview is an authentic transcript of the sound recording. The claim that some kind of falsification took place is in my view characteristic of the type of approach commonly adopted by Kavkaz-Center. While it is well known that practices of this kind are widespread in propaganda outlets and the tabloid press, I know of not a single instance where any of my colleagues or friends working in the democratic media have engaged in such a gross violation of professional principles. I also find it hard to imagine what would impel a publication like ours to engage in deception, or what goals we might hope to achieve by doing so. Our principal task is to show the real situation, as opposed to a "prepared" reality. We do not wage information wars, and do not try aggressively to defend the tenets of "the only true doctrine." We believe that everyone has an absolute right to freely express their point of view, and we offer our pages to people who hold different views (including those that do not coincide with our own). For this reason our work simply has no room for lies, fraud, or the distortion of reality. Why, therefore, would we ascribe to Dokka Umarov statements he did not make? 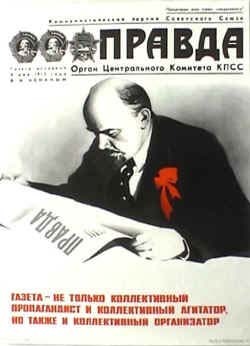 Among media that specialize in propaganda and draw on experience gained during Soviet times, falsification is a normal and permissible technique. With their usual suspicion and their desire to see anyone who circulates opinions that differ from their own as an enemy, they think that the independent democratic media are like themselves. They believe that if they lie, others will do the same. The accusations made against us are an attempt by Kavkaz-Center’s staff to censor reality – to disavow things that were said by the leader of the North Caucasus insurgency in an interview and that are at variance with the ideology of which they consider themselves to be the guardians and defenders.